Times have been very exciting for whisky drinkers, and it looks like the excitement is just about to get even bigger, especially for Islay whisky fanatics. The tiny island is about to welcome its 10th and newest distillery, which is set to be built on its Southern coast, along the roads of Port Ellen. It has been confirmed that Islay’s newest (and currently unnamed) distillery will be built and operated by Elixir Distillers. As owners of the Port Askaig and Elements of Islay brands, they are no stranger to the malt whiskies of Islay, and it comes to no surprise that they would step up to the challenge, following the footsteps of Hunter Laing’s decision to build Ardnahoe Distillery. Sukhinder Singh, co-founder of Elixir Distillers and spirits retailer The Whisky Exchange, said the island of Islay is the perfect place to build a single malt distillery. ‘Some of the world’s most amazing drams come from Islay,’ he said. ‘Their unique style combined with the special character of the island meant there was never any question that we wouldn’t choose Islay to build our distillery. Singh added that liquid produced at the distillery would be used to create ‘new products’, as well as provide liquid for Elixir Distillers’ other brands in the future. 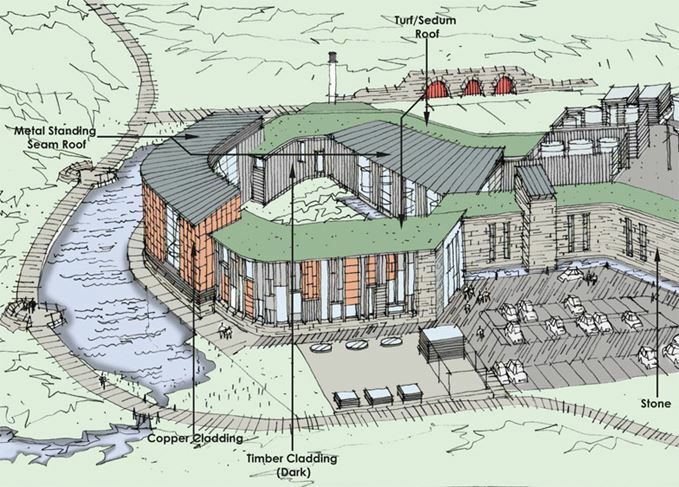 Construction of the distillery starts in 2019, and distilling could begin as early as 2020, coinciding with the scheduled start of Port Ellen’s distilling. Islay’s whiskies have seen a recent explosion of interest from the surge in new whisky drinkers. With new distilleries being built, and the legendary Port Ellen distillery re-opening, times could not be more exciting for fans of Islay whiskies. Peated whiskies don’t get as much love in Indonesia as much as it does internationally. Hopefully, the addition of variety from Islay would steer that opinion to a more positive direction. Opinions and words are my own. Official: Johnnie Walker Black Label "Jane Walker Edition"